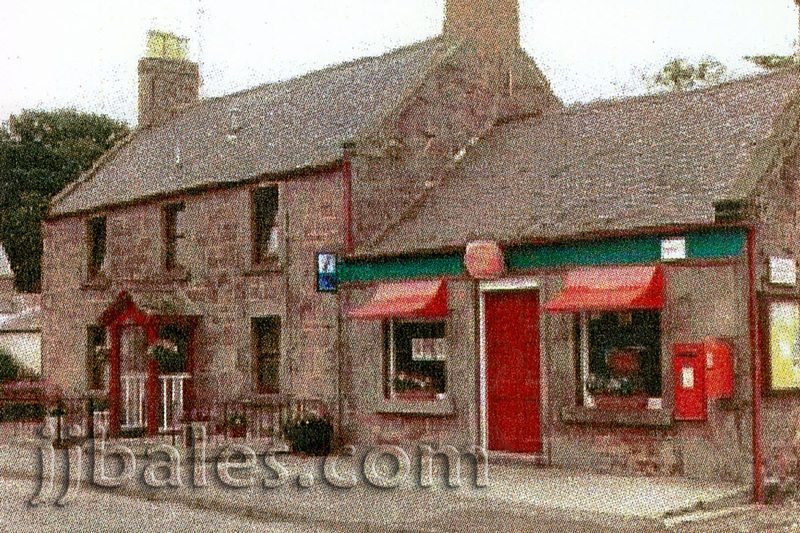 In June 1970 we arrived in the Highlands and soon took up residence in Edzell, Angus, on eastern coast of Scotland. 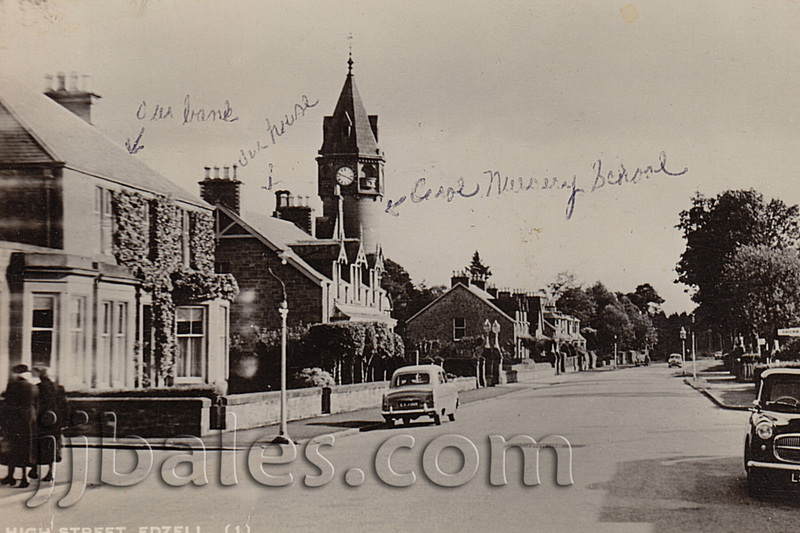 Edzell was a secluded little village with a population of about a 1,000 or so people. 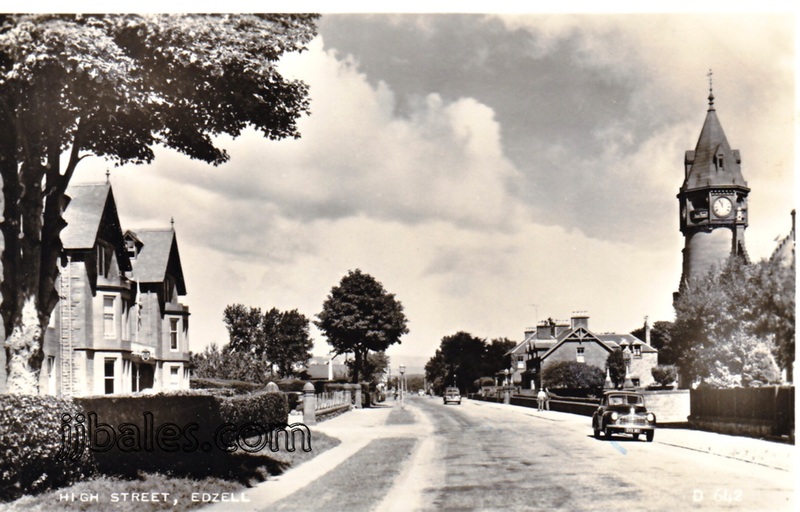 The village was located near Royal Air Base (RAF) Edzell, a U.S. Navy installation where my dad would work for the next four years. 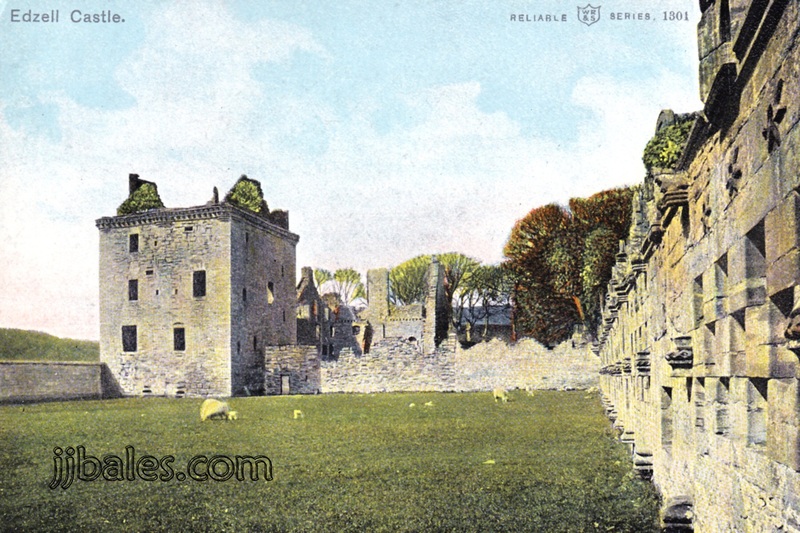 Edzell is known for the Dalhousie Arch, the Inglis Memorial Hall, the Glen Esk Hotel, its beautiful golf course, the Parish Church, and the crumbling ruins of the old Edzell Castle. 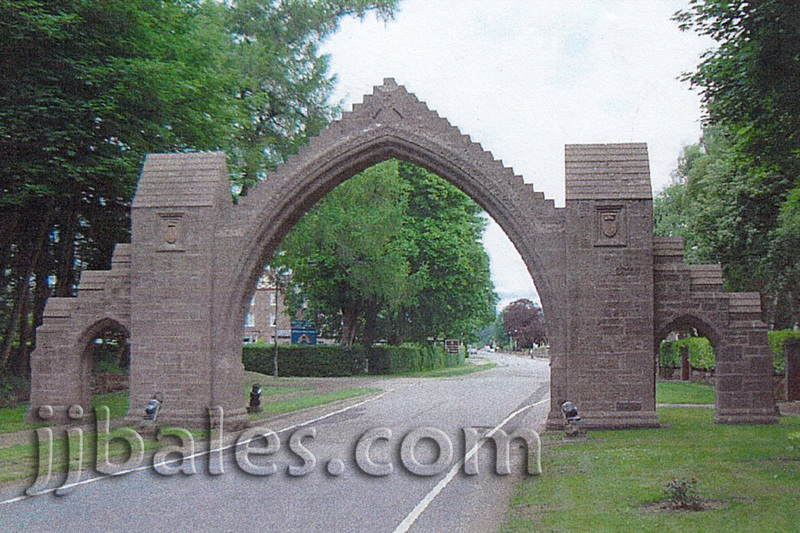 Visitors entering Edzell from the south are greeted by the Dalhousie Arch, built in 1887 to commemorate the 15th Earl of Dalhousie. 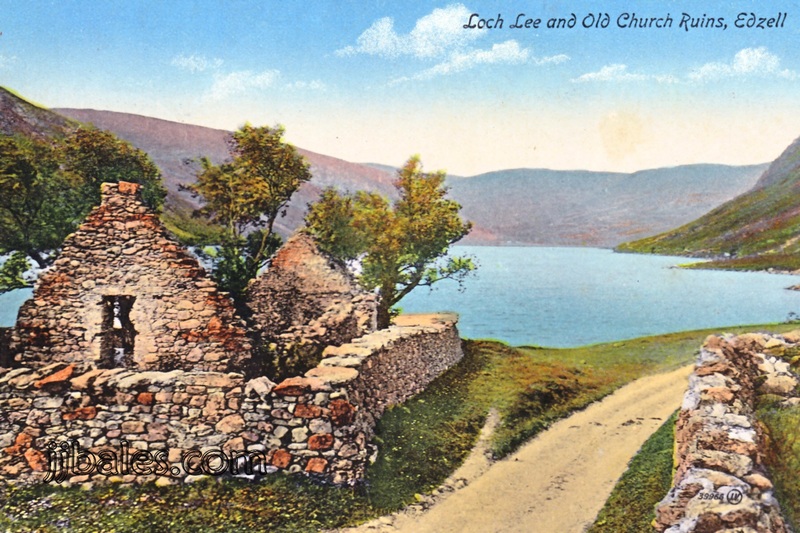 The Glenesk Hotel is visible within the arch - to the left behind the blue sign. 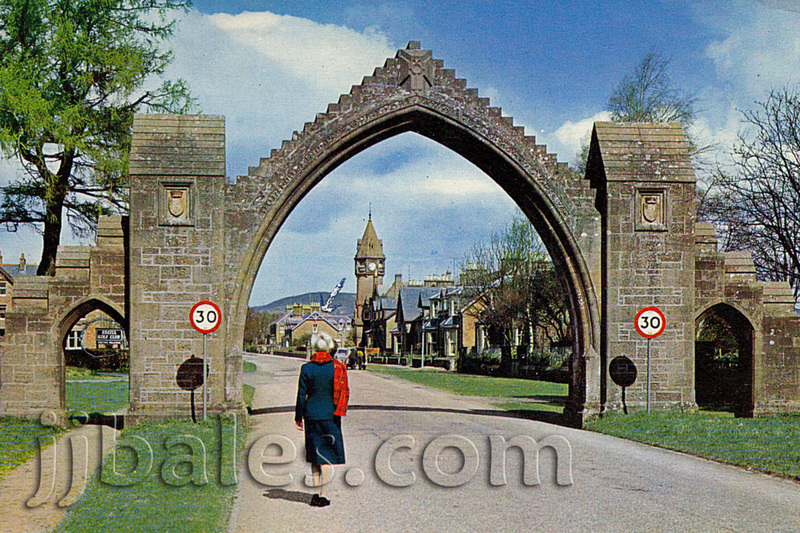 Another view of the Dalhousie Arch and showing High Street leading into Edzell. 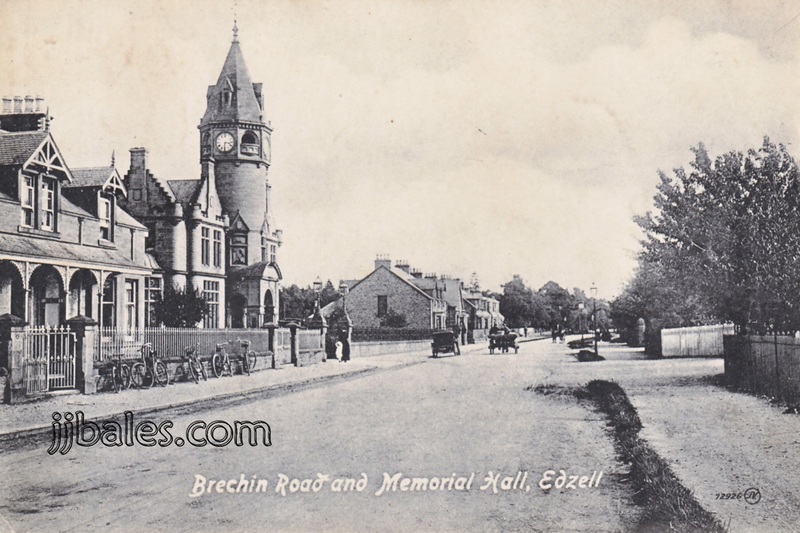 Old postcard of Edzell showing view from atop the Inglis Memorial Hall. My bedroom window (Bracondale House) is visible at bottom right behind the imprinted numbers. The white obelisk across the street is the Edzell War Memorial, honoring those who made the supreme sacrifice during the Great War (World War I). The “Tweed Shop,” where I caught the school bus, sits on the corner and just to the right of the war memorial. 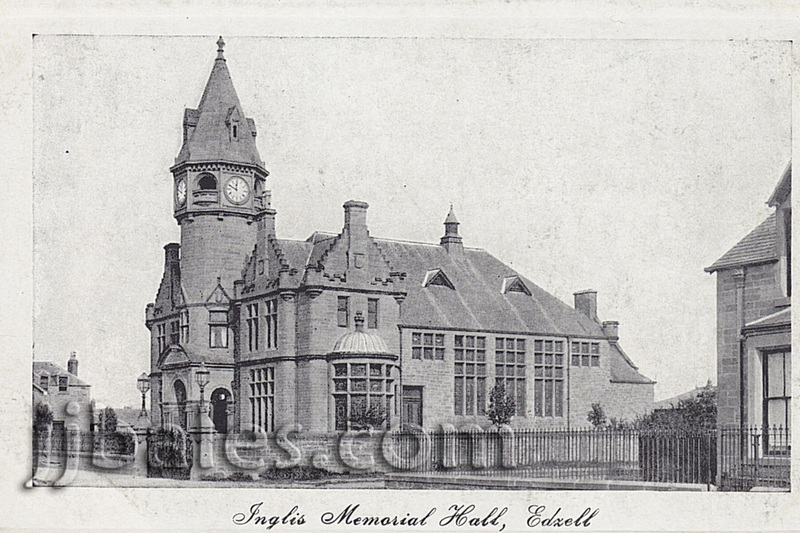 A postcard of Inglis Memorial Hall, built in 1897-1898 on commission of Lt-Col. Robert W. Inglis, then head of the London Stock Exchange, to honor his parents. 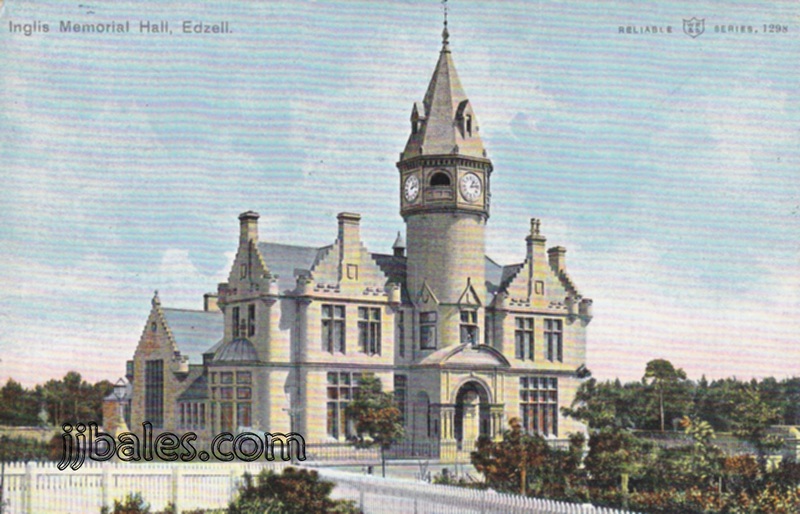 The large hall is home to the Edzell Library and I remember going there for book swap meets. Our home, Bracondale House, is visible just to the left. 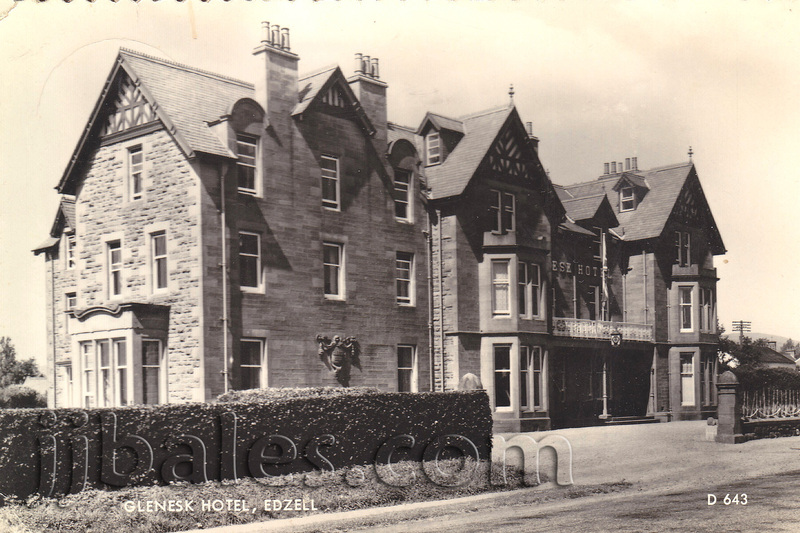 The 24-room Glenesk Hotel, built in 1898, located just across the street from the Inglis Memorial Hall. We stayed here for a few days before moving in our home across the street. 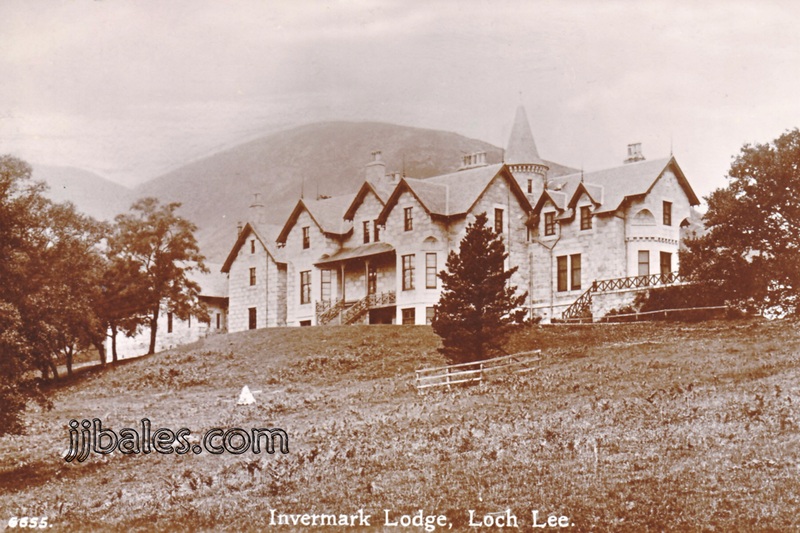 My parents would go the pub in this hotel from time to time. It is also popular with tourists and for its 18-hole golf course. 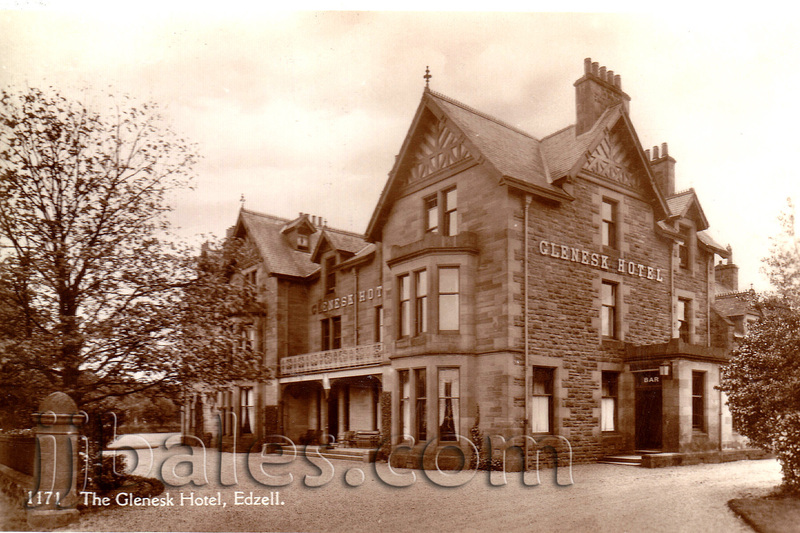 Another old postcard of the Glenesk Hotel. 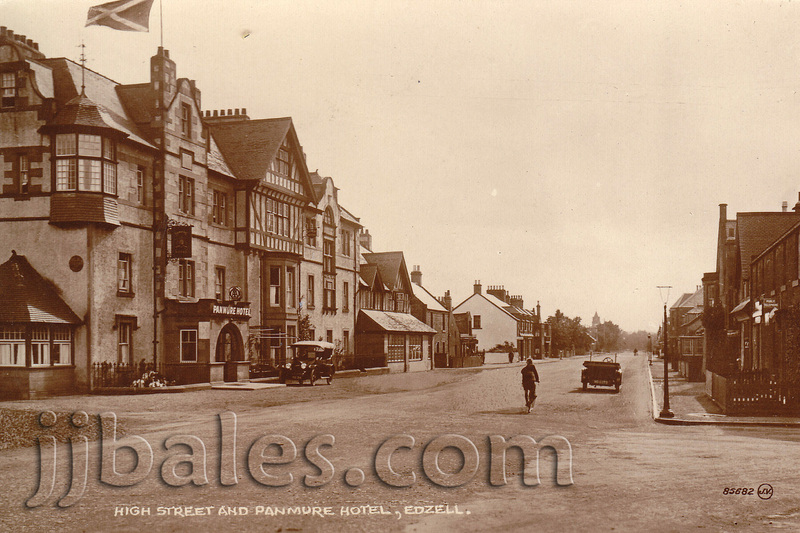 An old postcard showing the Panmure Hotel and High Street c1920. The Post Office located in the northern part of town on High Street. The post office is located in the addition with the red door (on right of photo) and the couple who ran the establishment lived in the main house. 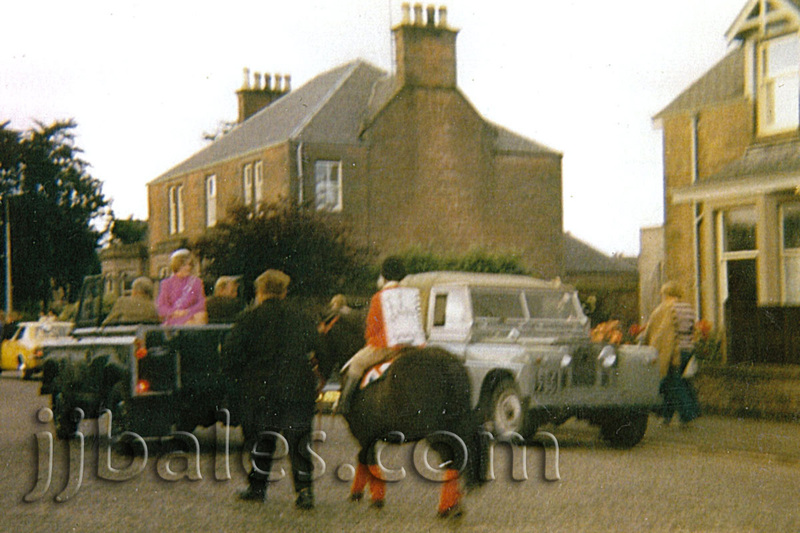 A parade on Guy Fawkes Day heads up High Street, with the “Edzell Princess” riding in the back of the Jeep. The house containing the Bank of Scotland (a small addition visible on the far left side of the house) is located behind her. November 1970. 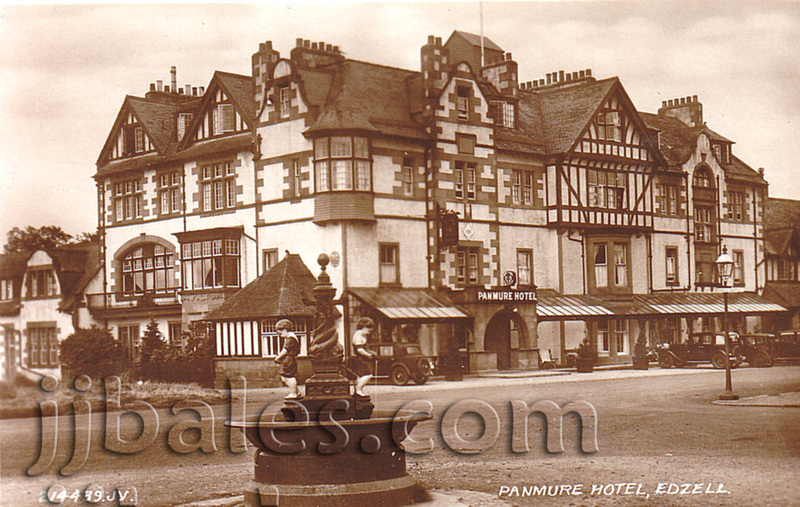 An old postcard of the distinctive-looking 16-room Panmure Hotel, located in the northern part of the town of Edzell. To the extreme left of the photo is the smaller extension where some of the hotel staff lived. This looks like a 1930's era photo. 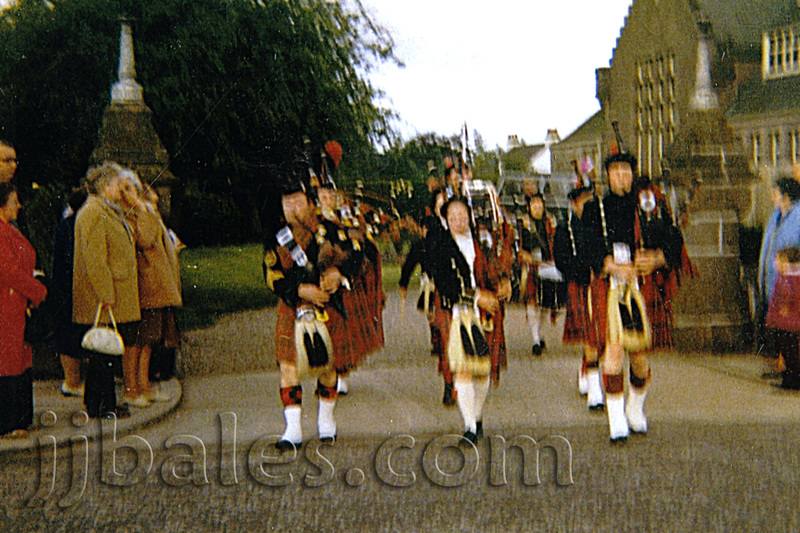 Parade of bagpipers exiting out of the Inglis Memorial Hall property and onto High Street. c1971. 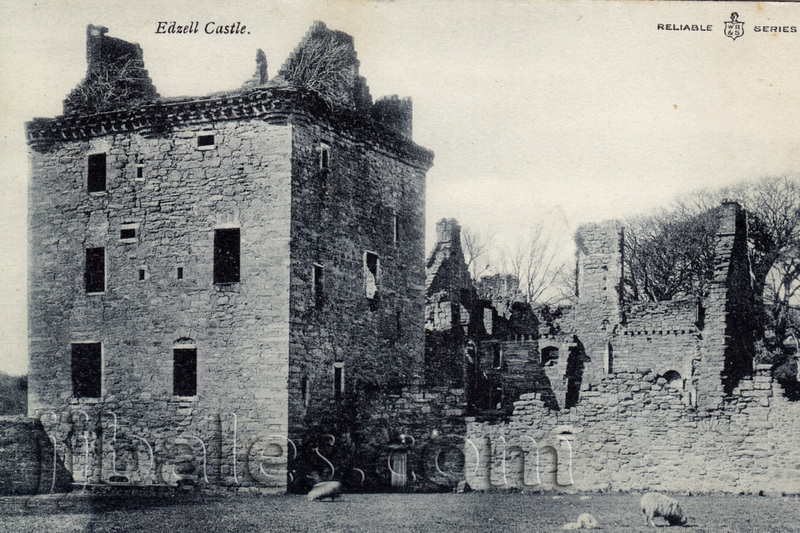 The ruins of Edzell Castle, which sit outside town. 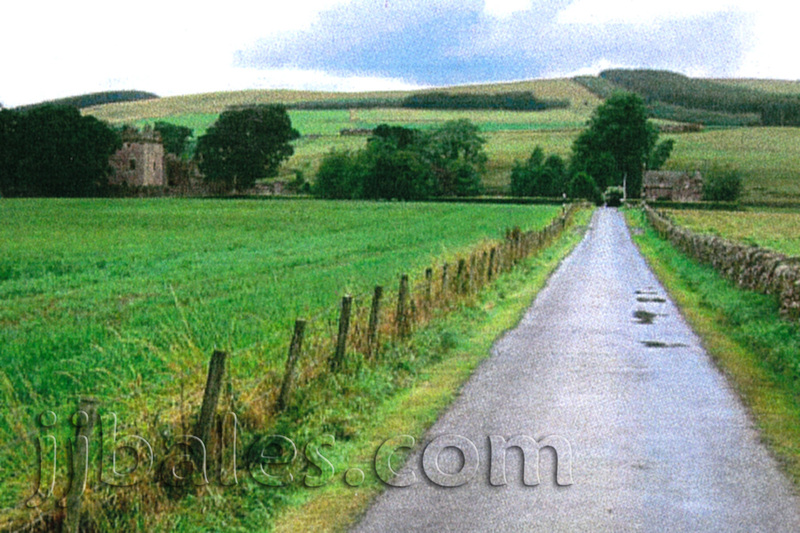 The country road leading out to Edzell Castle, which is visible on left. 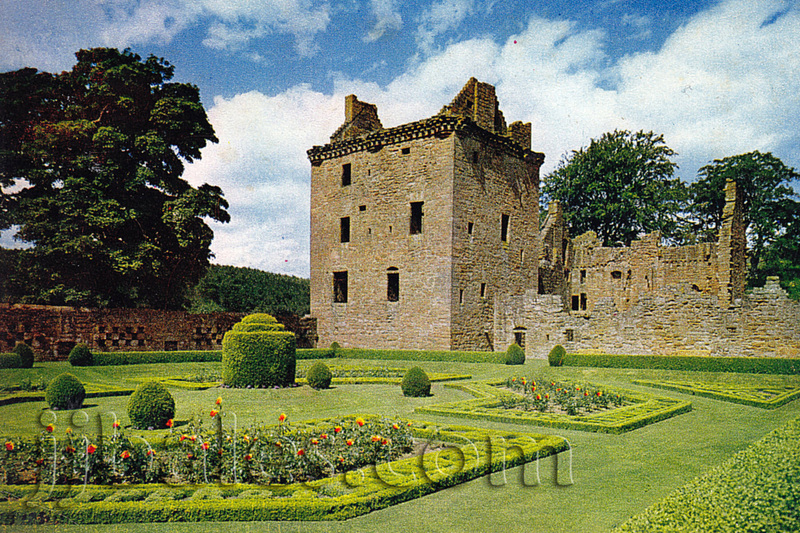 The ruins of Edzell Castle and its well-manicured gardens. 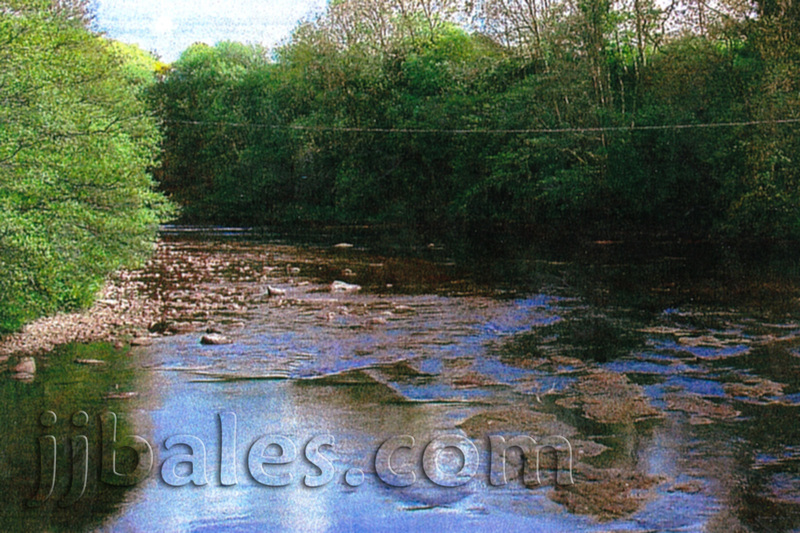 Not far from our home ran the River North Esk, where we would swim at times. I remember the water was cold and the moss-covered rocks were very slippery. Early 1960's view of High Street looking south. 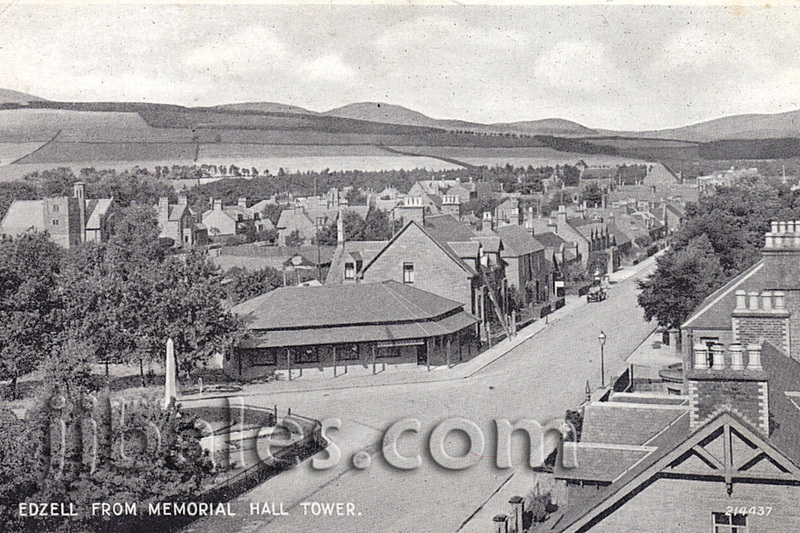 The bank is on the left and our house is visible just below the tower of the Inglis Memorial Hall.